Hiring a destination wedding photographer? Hiring a photographer(s) is typically the second or third event professional secured within your wedding vendor team. They are also the longest standing vendor that you will work alongside during the entire planning process besides your event planner, should you choose to hire one. This is the ONE professional that it is imperative you love and adore for what they do. Your working relationship with your photographer(s) should be that of a relaxed one, but not too relaxed! You need to know and be able to trust that your photographer(s) will arrive on time, be professional in appearance and conduct along with being able to be a leader in order to execute those obligatory family formals, tame the rowdiest of bridal parties, be there when you need them to capture that quick impromptu photo and in the background covering all those tiny details and room shots that you have spent months designing, planning and looking forward to seeing come together. IN the DC/MD/VA area there is a lot of photography talent and while the options are there it is important to remember experience is everything. We are not speaking strictly on the aspect of shooting, but that of how to handle families in high stress situations and executing delivery of the end product to include the behind the scenes storage and delivery process. Your wedding day is probably not the best time to take a chance on your wedding photos. One fact among our industry; most wedding photo/video companies quit within their first two years of business, therefore it is never recommended that a client take such risks when it comes to their wedding images. Weddings have many moving parts and unknowns that as an experienced professional one would better understand and be able to adapt best in order to get the best outcome possible in any situation. Location: Ritz Carlton, Halfmoon Bay, California. 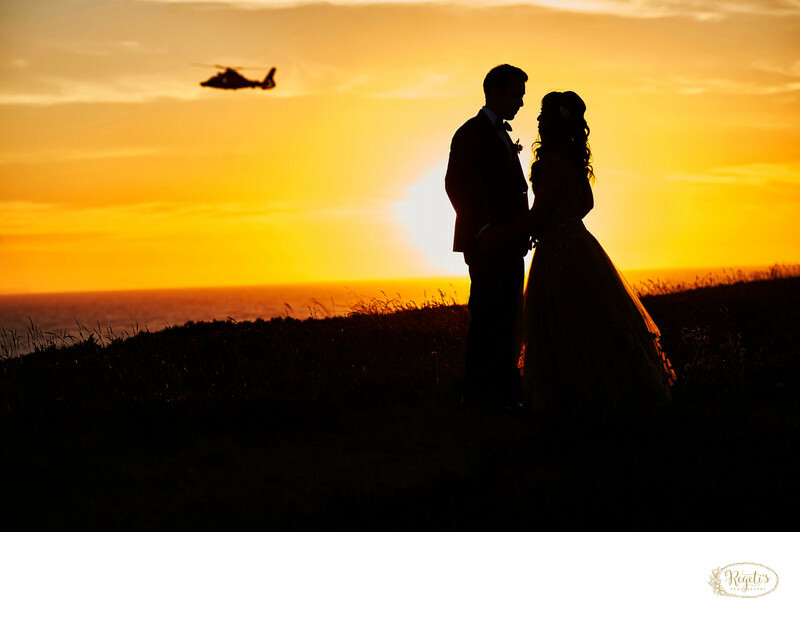 Keywords: Bride and Groom (69), Ritz Carlton (3), sunset (3).